Career website Glassdoor today released its latest report highlighting 2014’s top 50 Chief Executive Officers (CEOs), and once again the tech world played a big role in the list. In fact, LinkedIn CEO Jeff Weiner has unseated Facebook CEO Mark Zuckerberg from the number one spot he grabbed last year from Apple CEO Tim Cook. Glassdoor compiled its figures based on company reviews submitted by employees between February 1, 2013 and January 31, 2014. Last year, LinkedIn didn’t even make the list. This year, Weiner received a 100 percent approval rating. Meanwhile, Zuckerberg saw his CEO approval rating drop 6 percentage points to 93 percent, putting him in #9 overall (#4 in tech). 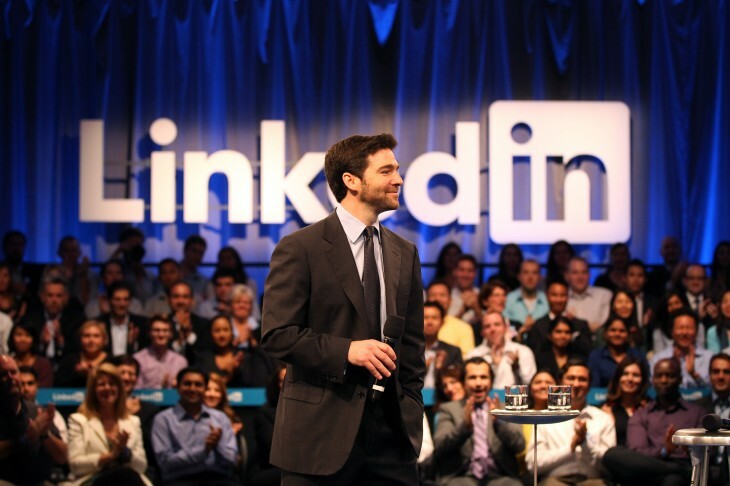 #1 LinkedIn’s Jeff Weiner, 100 percent approval. #4 Qualcomm’s Paul Jacobs*, 95 percent approval. #6 Intuit’s Brad Smith, 94 percent approval. #9 Facebook’s Mark Zuckerberg, 93 percent approval (2013 #1 CEO overall w/ 99 percent approval). #10 Google’s Larry Page, 93 percent approval. #12 Salesforce.com’s Marc Benioff, 93 percent approval. #13 Riverbed Technology’s Jerry Kennelly, 93 percent approval. #17 Apple’s Tim Cook, 92 percent approval. #19 eBay’s John Donahoe, 91 percent approval. #24 Cognizant Technology Solutions’ Frank D’Souza, 90 percent approval. #26 EMC’s Joe Tucci, 89 percent approval. #31 NetApp’s Tom Georgens, 86 percent approval. #32 Amazon’s Jeff Bezos, 86 percent approval. #49 Yahoo’s Marissa Mayer, 79 percent approval. It’s worth noting that there were only two female CEOs among the top 50 (up from just one last year): Victoria’s Secret Sharen Turney (85 percent approval) at #34 and Yahoo’s Marissa Mayer (79 percent approval) at #49. HP’s Meg Whitman made the list in 2012 but hasn’t been featured since. Weiner’s rise to the top is thus both impressive and shocking, especially given his perfect approval rating. The bar couldn’t have been set higher for next year.